Many thanks to the Jubilee Singers who raised £212 for Starter Packs at a recent charity concert St Helen’s RC church in Hoyland – A lovely Christmas present! 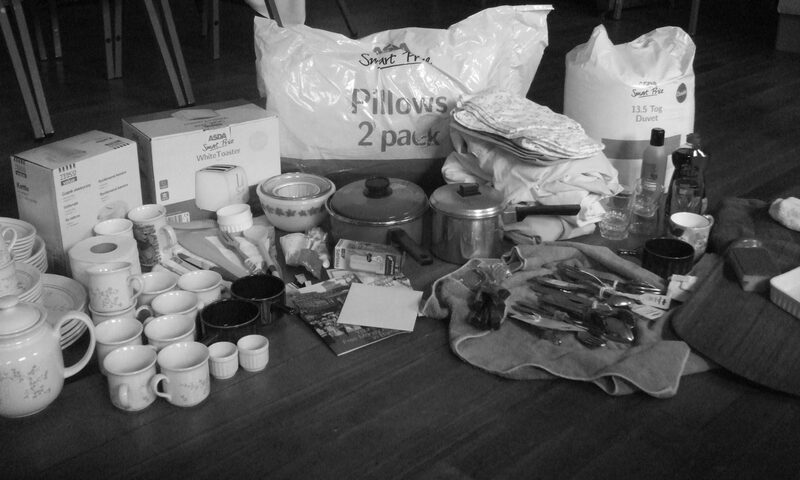 A big THANK YOU to everyone who donates money and items to the project – we gave out our 196th Starter Pack today. A cheque was gratefully received from the Yorkshire Building Society for £100, it was part of their Make a Difference Week. We have received generous donations of dry food goods from Royston, Darfield and Hoyland Methodist churches.